It’s common advice among Beatles fans to consider Let It Be the penultimate Beatles album, and Abbey Road the last. The logic is that Let It Be was largely recorded before Abbey Road and finished later by Phil Spector to many fans’ displeasure; Let It Be is a messy document of a band struggling to get itself together, while Abbey Road is the well-deserved finale, with the boys putting aside their differences to make one more like they used to. I’ve always resisted this interpretation. Let It Be is a better ending, and a more honest one. It’s well-known the Beatles could barely stand each other by the time they holed up in the studio to make it. But Abbey Road ignores that fact; it’s about nothing but the Beatles’ ability to make it, and as great a record as it is, it’s essentially dishonest, a gaudy mausoleum to their career. The Beatles didn’t go out with a bang anyway; they festered. 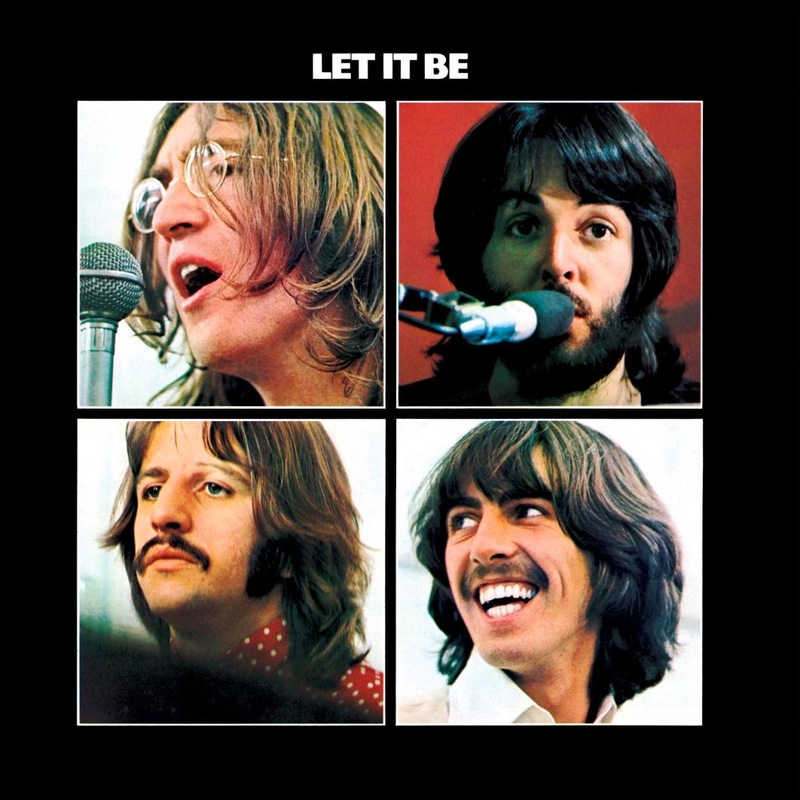 Let It Be is as messy and sad as the last days of the band. Its completion by Phil Spector is probably its most controversial aspect. Though he was hailed as the first of the pop auteurs in the early sixties, he was often dismissed as maudlin and one-note by the end of the decade, what John would love to call “granny music.” His approach here is maximal, playing more to the Beatles’ stature than their sound, but his harps and choirs aren’t as conspicuous as the empty spaces they fill. Let It Be is roughshod and incomplete. Some of the best songs from its sessions were excised, and what remains includes greatness and half-finished doodles like “Dig It,” where John deviates from an intriguing “Like A Rolling Stone” cover to shout the names of celebrities. Much of it was recorded at the Beatles’ famous final rooftop concert, and John’s often-snide stage banter remains. Band members talk over and during their song, and even George name-drops the great guitarist Elmore James on his terrifically jaunty slide blues “For You Blue.” For the first time since their moptop days we see them not as Timothy Leary’s “laughing freemen” but as lads. They’re having fun, as best they can. While Abbey Road ended with a forced platitude—“in the end the love you take is equal to the love you make”—Let It Be sighs with the fatigue typical of hippies coming down from the dream of the sixties; it predicts Sly Stone’s There’s A Riot Goin’ On and Neil Young’s ditch trilogy. “Dig a Pony” uses utopian language but means nothing. “I Got A Feeling” evokes the Woodstock era: “everybody let their hair down,” Paul sings, but everybody also had a “hard year.” And they disapprove of the free spirits that populate “Get Back,” barking the titular command to implore them to go on home to their parents. But there are no worthwhile statements about the state of the world to walk away with, no messianic ambitions a la “All You Need Is Love.” Excepting perhaps George’s “I Me Mine,” the last song ever recorded by the Beatles, these ersatz protest songs add up to little more than a pervasive aesthetic of discontent. It’s not hard to hear something wrong with Let It Be, especially when the record’s most sincere song, the title track, starts with John proclaiming “and now we’d like to play ‘’Ark the Angels Come!’” in the nastiest nanny voice he could muster. This wasn’t a cute rib. John, who never hid what he thought of his partner’s work, hated “Let It Be” and was surely not looking forward to playing it, least of all with Paul. It’s impossible to ascertain from this thing how they got it together long enough to do Abbey Road—not when the central duo tries to make up for lost camaraderie by harmonizing over a song they’d written as kids, “One After 909,” and sounding like they’d rather be anywhere else. Let It Be bristles with tension, yet it opens with one of the most heartbreaking and honest songs ever recorded about male friendship. “Two of Us” is the best Beatles album opener because it’s so clearly about John and Paul. Each claimed they wrote it for their spouse, which is surely their way of avoiding expressing any sort of sentiment towards each other. The lyrics give it away: “You and I have memories longer than the road that stretches out ahead.” Meaning that the road behind is longer than the road ahead. Meaning that the road is coming to an end.